BURNINGMAN: Every year a new adventure! SUPERBOWL XLI HALFTIME: 2007. Marching Band Light-up Effect. Co-Designer, Supervisor. WESTERN CENTER for PALEONTOLOGY & ARCHEOLOGY: 2006. Projection Consultation. UNIVERSAL STUDIOS: 2005. Mummy Tunnel on Tram tour. Projection Consultation. BURNING MAN: 2004. Art Installation. Projection Design, Installation. HALLOWEEHO: 2002 West Hollywood, CA Halloween Extravaganza. Complete design and production of digital multi-media wide screen projection show with live VJ’s for 350,000 people. Producer/Designer. UNIVERSAL STUDIOS: 2002. 3D computer graphics animation for proof of concept on major new attraction. Projection Design, Consultation. COKE LIVE! : 2002 Salt Lake City Olympics. Digital projection and show control for live show at Coca Cola’s Pin Trading Centers in Salt Lake and Park City. Projection Design, Production. GHOSTS & LEGENDS OF THE QUEEN MARY: 2000 Renaissance Entertainment. Themed guest experience inside the famous ship; included refurbishing historic fixtures. Lighting Designer. THEA AWARDS: 2000-2003 Themed Entertainment Association. Digital projection for annual gala event. Projection Designer/Producer. MET LIFE BUILDING CLOCK FACES: 2000 Motion Development Industries. Renovation of landmark New York building clock faces. Fiber Optic Lighting Design Consultant. HOLLYWOOD GOES CLASSICAL: 2000 LA Master Chorale. Projected imagery in concert with chorale. World-wide commercial premier of Watchout digital projection system. Projection Designer. ANIMAZEMENT: 2000 Disneyland Entertainment. Live show with automated lighting and scenery. Integrated audio, video, lighting control. Show Control Designer. SKYPOWER ‘99: 1999 LD Systems, City of Houston, TX. World’s largest sky show. Created large format multi-image show over twenty-seven building surfaces, with 1200+ slide images on a 360∞‘stage (the entire downtown of Houston) some two miles wide and half mile high. Projection Producer, Designer. LITTLE MERMAID: 1999 Walt Disney Entertainment, Tokyo Seas. Systems consulting on video server technology for cue lines. Video Systems Consultant. AID FOR AIDS TONY AWARDS DINNER: 1998-2001 APLA, Actors Fund gala fundraiser. Lighting Designer. HONEY I SHRUNK THE AUDIENCE: 1998 Disneyland Entertainment. Created process to make digital aperture plates to exact screen size and shape for 3D 70mm film show. Projection Consultant. INNOVENTIONS: 1998 Disneyland Entertainment. Five live independent shows operating concurrently with interactive input & links to ride control. Audio, Video, Lighting control. Show Control Designer. FANTASEA: 1998 Renaissance Entertainment Asia. Theatrical Spectacle. Large format (PIGI) multi-projector system with custom designed flying image tracking system. Software and hardware design. Phuket, Thailand. Projection Designer. LIGHT MAGIC: 1997 Disneyland Entertainment. Live parade spectacle with multiple 70mm film projectors targeting floats moving into position. Projection Designer. METAMORPHOSIS: 1997 Pleasure Island. Live nighttime dance spectacle counting down New Year’s eve every night. Automated fixtures; UV; Searchlight choreography; Video wall. Lighting Designer. ISLANDS OF ADVENTURE SPIDERMAN: 1996 Universal Studios. Projection Consultant. KALEIDOSCOPE, A FLOURESCENT FANTASY: 1993 Black Art live musical production at the MGM Grand Hotel and Theme Park, Las Vegas. Lighting Design, Technical Coordination. THEATRICAL ARTWORKS: 1993 - Present Collaborations with artist Jan Sawka on fine art theatrical and architectural projects, including The Eyes: A visual theatre production integrating over 1100 slides in multi-image modules with lighting, moving scenery and live talent. Lighting, Projection Design. INSTANT MEMORIES! : 1984 - Present Creator of instant slide module shown to audiences within 10 minutes of taking the last picture. Numerous productions for a variety of clients. Producer, Designer. ON LIGHT: 1981 One-act play with lighting instruments as the only characters. Lights moved and interacted via offstage puppeteer control. Writer, Director, Producer, Designer. CASABLANCA, THE DANCE: 2005 Los Angeles Dance Theater/Warner Bros. Theatrical Services. Great Hall of the People, Beijing, PR China. Producer, Lighting, Projection Design, Production. LEWIS & CLARK REACH THE EUPHRATES: 2005 Mark Taper Forum. Projection Design, Production. IN MY NEVER TO BE HUMBLE OPINION: 2005 Tour. Dr. Laura. Projection Design, Production. TALKING CURE: 2004 Mark Taper Forum. Projection Production, System Design, Programming. ROYAL FAMILY: 2004 Ahmanson Theatre. Projection Production, System Design, Programming. DAISY IN THE DREAMTIME: 2004 Inside the Ford. Projection Design, Production. LIKE JAZZ: 2003 Mark Taper Forum. New Musical; Lyrics Marilyn and Alan Bergman, Music Cy Coleman, Book, Larry Gelbart, Directed by Gordon Davidson. Projection Design, Production. MASTER CLASS: 2003 Fountain Theater. Projection Design, Production. CASABLANCA SUITE: 2003 Warner Bros. Dance Workshop Production. Producer, Lighting & Projection Design, Production. SECRET ORDER: 2003 Laguna Playhouse. West Coast premiere of original production written by Bob Clyman, directed by Michael Sexton. Projection Design, Production. TOUCH: 2003 Austin Ballet. World premiere of original production choreographed by Stephen Mills. Created kinetic artwork projection in three dimensional space. Projection Design, Production. FLYING DUTCHMAN: 2003 LA Opera. Re-mount of original 1995 world premiere directed by Julie Taymor. 3D computer animation, video projection. Projection Design. GREAT AMERICAN SONGBOOK: 2003 Mark Taper Forum. Fundraising salon featuring Michael Feinstein. Projection Design, Production. QUEEN OF SPADES: 2002 LA Opera. Wide screen large-scale slide projection with unique angular keystone. Projection Design, Production. SISTER CARRIE! : 2002 Indiana Repertory Theater. World premier or original adaptation. Featured array of over 30 color changers to help create kinetic movement of light and color. Lighting Design. SPLASH! : 2002 Riviera Hotel & Casino, KR Entertainment. Show control system for major Las Vegas Show of the Year. Coordination of lighting, audio, video, lasers. Show Control Designer, Integrator. STEPS IN TIME: 2001 Hyperion Theater, Disney California Adventure. Three screen digital projection with unique double bounce mirror system. Projection System & Show Control Design, Integration. LE FEMME: 2001 MGM Grand Hotel & Casino. 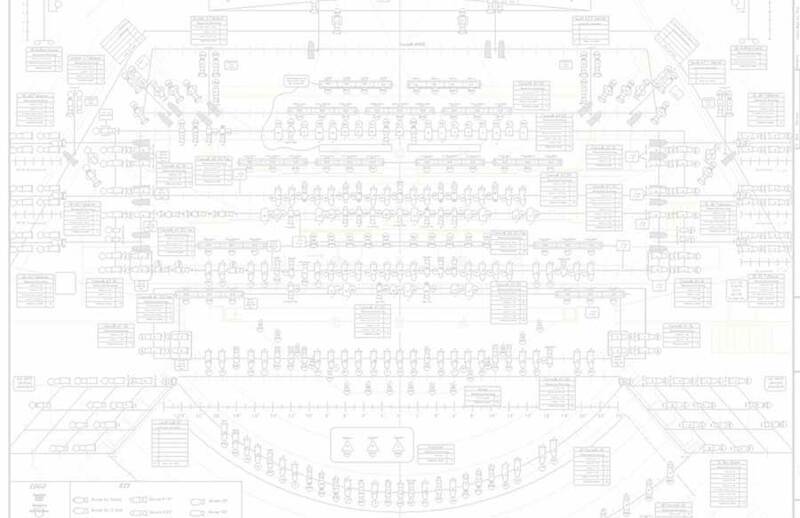 Show control system for new show and theater with lighting, audio, lasers, 35mm film projection, slide projection. Show Control Designer, Integrator. CENTRAL AVENUE: 2001 Fountain Theater. World premiere production. Multi-image slide production on multiple screens. Projection Design, Production. PERFECT CHRISTMAS GUARANTEED: 2001 Dance Connecticut. World premiere production featuring digital projection. Choreographed by Adam Miller. Lighting, Projection Design. THE NUTCRACKER: 2001 Dance Connecticut. Original production. Choreographed by Adam Miller. Lighting Design. ANOTHER AMERICAN ASKING & TELLING: 2001 Mark Taper Forum. Original play about gay people in the military. Projection Design. ON GOLD MOUNTAIN: 2000 Los Angeles Music Center Opera Community Outreach Program. Original new work world premiere. Lighting Design. AFFLICTION OF GLORY: 1999 Getty Center. Original play about British18th century stage star Sara Siddons. Multi-media computer graphics. Projection Design. THE MAGIC FLUTE: 1999. Seattle Opera. Large scale seamless panorama rear screen, front, side and top projection, including projection on choreographed scenic elements. 20 Large format Pani projectors. Original production 1993. Remounted by Houston Grand Opera, 1997. Projection Design. FIRST PICTURE SHOW: 1999 ACT (American Conservatory Theatre). Video production support. Video Projection Consultant. HOUSE ARREST: 1999 Mark Taper Forum. Original play written and directed by Anna Deveare Smith. Multi-Media computer graphics and video. Projection Design. FANTASTIC MR. FOX: 1998 Los Angeles Music Center Opera. World premiere. Large format seamless panorama projected backdrops. Projection Design. “PEACE”, IT’S ALL ABOUT RESPECT!!! : 1998 Peace Quest, Inc. Socially conscious play dealing with violence an abuse. An Odyssey Theatre guest production with celebrity guest hosts. Featured fist public reading of letter written by film director Stanley Kramer to his family re: working in the film industry during the 1960’s. Worldwide introduction of new Borealis LED lighting fixture. Producer, Lighting Design. BRECHT ON BRECHT: 1998 Odyssey Theatre. Critically acclaimed production directed by Ron Sossi. Lighting Design. HOMEBOUND: 1997 Original drama written and directed by Richard Christian. Pick of the week and critics choice. Lighting Design. CHRISTUS VICTOR: 1997 Salvation Army. Large scale musical with automated lighting and moving truss, special effects; on arena stage for Western Territorial Congress. Producer, Lighting Design. HAVING OUR SAY: 1996-7 Mark Taper Forum; La Jolla Playhouse, Coconut Grove Playhouse; Alley Theatre, Berkeley Rep. Thrust, Thrust/Proscenium and Proscenium productions with wide screen panoramic and wrap around slide images. Multi-image slide projection. Projection Design. LIFESIGHS: 1996 World premiere of Graham Nash's new theatrical production. Automated lighting integrated with live interactive computer imagery and HDTV. Lighting Design. JAZZ AVIARY: 2006-Present: Various Venues. Jazz Artist Susan Krebs and The Soaring Sextet. Projection & Lighting Design, Produce. JOSH GROBAN: 2004 Sold Out National Tour. Projection Consultation. ROCKET POWER: 2002 Live Skating/BMX Action Tour for Clear Channel Entertainment. Based on the Nickelodeon cartoon series. Complete design and production of digital multi-media circular projection. Featuring all original cartoon illustration art, video, graphics. Projection Design, Production. HARD RAIN: 1999 CD Release and concert dates. Lighting Design. TRAFFIC: 1994 Far From Home Tour. Large format Multi-image production with special custom effects including polarized animation. Projection Design. BARBRA STREISAND: New Year's Eve 1993 Barbra The Concert. Projection Design. OZZY OSBOURNE: 1992 No More Tours Tour. War Pigs video depicting horrors of Vietnam War. Shown in concert with the band playing live. Video Producer, Director. STING: 1991 40th birthday concert at the Hollywood Bowl. First live HDTV concert video telecast. Large format Pani projection. Projection Design. ARTIST SHOWCASES: 1986 - 1989 A&M Records; various independents. John Hiatt, Ry Cooder, Brenda Russell, Suzanne Vega, Toni Childs, Soul Asylum, others. Lighting Design. FEEL THE HEAT: 2004 San Bernardino National Forest Association. Mobile Educational Exhibit; 5.1 Surround video; Audio Environments. Producer/Director, Sound Design, Show Control Design & Installation. CITRUS PARK: 2003 CA Citrus State Historic Park. Visitors Center Intro DVD Video Program and Kiosk. Houston Int’l Festival Gold Award. Producer/Director, Show Control Design & Installation. UNDERCOVER ANGEL: 1998 Feature film directed by Bryan Stoller. Opening credits. Gaffer. ASK DR. DOOGIE: 1990 Kinetic multi-image backdrops for episode of Doogie Howser, M.D. Steven Bochco Productions. Projection Design. GOALIE: THE GAME CONTINUES...: 1987 Fully produced 35mm film short. Spoof of "Friday the 13th". Shown in Mann Theatres. Houston Film Festival Gold Award. Producer. ART OF THE CLASSICAL PAS DE DEUX: 1986 Full-length video. Highlights of the 1984 International Festival of Ballet in Los Angeles. Features the prima dance partners from the best ballet companies in the world. Commercially released and currently in retail. Producer. TOSHIBA: 2003 Dealer Meeting. Multi-Wide-screen panorama digital multi-media production. Digital Projection. UNIVERSITY OF NEW HAMPSHIRE: 2002 Capital wrap-up fundraising campaign. Wide-screen panorama digital multi-media production. Digital Projection Consultant. PIONEER NEW MEDIA: 2001 INFOCOMM Trade Show Booth. Complete design and production of digital multi-media show using seven plasma displays. Producer/Designer. GAM PRODUCTS: 2001 NAB Trade Show Booth. Complete design and production of digital multi-media wide screen projection show. Producer/Designer. TEA (Themed Entertainment Association): 2000-2002 IAAPA Trade Show Booth. Complete design and production of digital multi-media wide screen projection show for Themed Entertainment Association. Producer/Designer. PERSONAL CREATIONS, INC.: 2000 LDI Trade Show Booth. Complete design and production of digital multi-media wide screen projection show featuring artwork by Christina DeMusee. Product of the Year Award for Scenic Projection for Watchout by Dataton digital projection system. Producer/Designer. NOVUS/DISCOVER: 1997-2003 Annual Associates Meeting. On-site production of complete candids video module over four day event. Producer/Director. ANNUAL COMMISSIONING: 1997-2001 Salvation Army College For Officer Training. Annual event with fully produced musical and services. Producer, Lighting Design. AVOLITES USA: 1989 Unique design and production of multi-image style show using a wall of scrolling color changers on stage lights. Moving graphic patterns and photographic images mounted in color strings showed off product lines and designer portfolios. Producer, Designer.